Max Lu, M.F.A. Fashion Design, was born in Taipei, Taiwan and grew up in Taipei City. After he completed his B.F.A. in Fashion Design, he worked as a freelance print pattern designer and fashion stylist assistant. In Taiwan he received an Honorable Mention Award from the Competition of Taiwan Textile Federation and won first prize at Manga Fashion Design Competition. Lu’s collection, in collaboration with Jessie Wang M.F.A. Fashion Design, aims to express ambiguous and unclear forms from a blurry dream. The collection features 1950’s classic and elegant silhouettes and new edge style. Lu and Wang focused on clear cuts and special shapes to create their designs. Jingci Jessie Wang, M.F.A. Fashion Design, was born in Hei Long Jiang province, China. Wang completed her B.F.A in Fashion Design in China and worked at Starview Trading Limited where she designed lingerie, underwear and sleepwear collections. 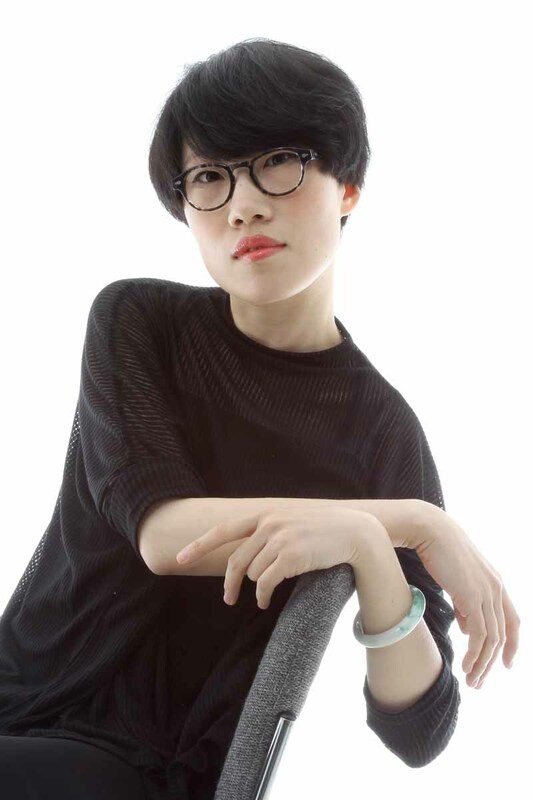 She won the second prize for the Bosideng scholarship, the Okawa Textile Company Competition Finalist Award, the 3rd Gunze Fashion Design-China T-shirt Recognition Award and the Triumph Inspiration China National Competition Finalist Award. While working toward her graduate degree, Wang worked at Dan group in San Francisco where she assisted in designing womenswear collections.